In Kłóbka, Maria Orpiszewska nee Wodzińska resided for the period of 15 years. It was there that she died and was buried in the family tomb of his second husband in the local cemetery. At the end of August 2009 the local Society of Friends of Kłóbka founded a marble plate on the tomb with an inscription indicating the place of burial of Chopin’s fiancée. In the village there is a historical parish church dating back to the years 1880 – 1881, a devastated manor complex of the Orpiszewski family dating back to 1850, a manor park with the area of 9 ha and an open-air museum with its historical architecture facilities from the area of the Kujawy and Dobrzyńska Land. The open-air museum area is separated from the centre of the village by a deep valley of the Lubieńka river. The open-air museum in Kłóbka referred to as the Dobrzyński Open-air Museum is, formally, a division of the Museum of the Kujawska and Dobrzyńska Land in Włoclawek. 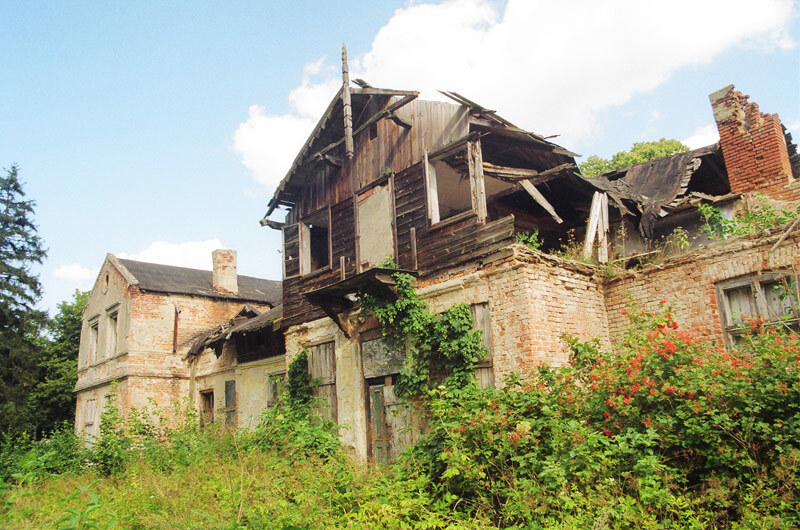 The area of 6 ha includes several facilities, which are characteristic of villages located in the Kujawy and Dobrzyń region in the 19th century and at the beginning of the 20th century. The traditional folk buildings are represented by complete farmhouses and examples of facilities and equipment connected with farmers’ life such as a tavern, smithy, oil house, fire brigade facility, school and a windmill. The buildings are accompanied by wayside shrines, wells, cellars, treadmills and various fences. The rural landscape is complemented by flower and vegetable gardens, greeneries around the facilities, a bed planted with rarely found flax, millet and swede and gardens with its beds planted with lovage, rue and thyme.